The Kurdistan region covers the northern and northeastern parts of Iraq which forms the extreme northeastern part of the Arabian Plate. It is colliding with the Eurasian Plate. The collision has caused thrusting parts of the ophiolite inside Iraq from Iran, besides the hydrothermal fluids which have deposited different metallic minerals. The Kurdistan region is characterized by the presence of metallic minerals such as Fe, Zinc (Zn), lead (Pb), Cu, Cr-Ni, and Mn, besides uranium and thorium. The formation of these minerals is associated with the development of the tectonic framework. The major tectonic events are associated with the Tethys development and movement of the Arabian Plate toward the Iranian Plate. Most of the metallic mineralization’s are of the Alpine-type, of Cretaceous age. Some Zn-Pb showing is related to early Alpine activities. Uranium and thorium are of Cretaceous and Jurassic ages. The actual mineral wealth of the Kurdistan region is not known, due to the lack of detailed geological data. However, based on the available data, it is expected that the region is promising for Cu, Fe, Zn, and Pb, besides the radioactive minerals. A critical review is presented to show the potential of the metallic minerals wealth in the region. Moreover, recommendations are given to have a better view of the minerals wealth. Mr. Varoujan K. Sissakian graduated from University of Baghdad in 1969 with B.Sc. degree in Geology, and M.Sc. in Engineering Geological Mapping from I.T.C., the Netherlands in 1982. He joined Iraq Geological Survey (GEOSURV) in 1971 and was nominated as Expert in 2005; he was the Director of Geology Department since May 2004 until October 2012. He has 125 documented reports in GEOSURV's library and 105 published articles in different geological aspects in different geological journals. He was the Deputy Vice President of the Middle East Subcommission of the Committee of Compilation the Geological Map of the World (CGMW), Paris, from February 2010 until August 2012. Retired on 10 October 2012. His major fields of interest are geological mapping, stratigraphy of the Iraqi territory, site investigation, and geological hazards. He was Visiting Lecturer at the University of Kurdistan Hewler since October 2014 and Lecturer since February 2017. Akif, A. & Mustafa, M. (1974). Exploration of Lead-Zinc Mineralization of Marapasta, Northern Iraq. Iraq Geological Survey Library Report No. 1158. Akif, A., Al-Ka`aby, A., Al-Rufai, A., Mohamad, M., & Al-Qazzaz, D. (1973). Report on the Geological Surveying and Prospecting of the Duri-Serguza, Benavi and Ora areas, N. Iraq. Iraq Geological Survey Library Report No. 2212. Akif, A., Sattran, V., & Al-Rufai, A. (1973). Exploration of Lead and Zinc Mineralization of Marapasta, Northern Iraq in 1973. Iraq Geological Survey Library Report No. 566. Al-Bassam, K. (1972). Reconnaissance Mineralogical Study of Some Lead-Zinc Deposits in Northern and Northeastern Iraq. U.K: Partial fulfillment of M.Sc. Thesis, University of Wales. Al-Bassam, K. (1980). Geochemical Study and Genesis of the DuriSerquza Lead-Zinc-Pyrite Deposit, N. Iraq. Iraq Geological Survey Library Report No. 1052. Al-Bassam, K. (1981). Geochemical Exploration in the Berzanik PbZn-Ba Occurrence, N. Iraq. Iraq Geological Survey Library Report No. 1226. Al-Bassam, K. (1984). Final Report on the Regional Geological Survey of Iraq. Vol. 5. Economic Geology of Iraq. Geological Survey Library Report No. 1449. Al-Bassam, K. (2013). Mineral resources in the Kurdistan region. Iraqi Bulletin of Geology and Mining, 9(3), 103-128. Al-Bassam, K., Hak, J., & Watkinson, D. (1982). Contribution to the origin of the Serguza lead-zinc-pyrite deposit, north Iraq. Mineral Deposita, 17, 133-149. Al-Hashimi, A. & Al-Mehaidi, H. (1975). Cu, Ni, Cr dispersion in Mawat ophiolite complex, NE Iraqi. Journal of Geological Society, Iraq, Special Issue, 37-44. Ali, H. H. M. (2016). Geochemical Exploration in Igneous Rocks in Mawat Area, Kurdistan, Iraq. Graduation Project’s Report, University of Kurdistan Hewler. Ali1, S. A., Buckman, S., Aswad, K. J., Jones, B. G., Ismail, S. A., & Nutman, A. P. (2012). Recognition of late cretaceous hasanbag ophiolite-arc rocks in the Kurdistan region of the Iraqi Zagros suture zone: A missing link in the paleogeography of the closing Neo-Tethys Ocean. Lithosphere, 4(5), 395-410. Al-Ka’aby, A. & Al-Azzawi, A. (1991). Detailed Mineral Investigation and Prospecting for Lead, Zinc and Barite in Alanish, Berzanik and Lefan, N Zakho. Iraq Geological Survey Library No. 2084. Al-Kazzaz, H., Geli, A. A., & Mahdi, M. A. (1972). Reconnaissance Radiometric and Geological Surveys, Searching for Possibility of Uranium and Thorium Occurrences in Jurassic Black Shale, Barsarin area, NE Iraq. NGD Report No. 1613. Al-Mehaidi, H. (1974). Report on Geological Investigation of MawatChwarta Area, NE Iraq. Geological Survey Library Report No. 609. Al-Shible, T. & Kettaneh, Y. (1972). Reconnaissance Radiometric and Geologic Surveys, NE of Penjwin (Shalair Valley). Iraq Geological Survey Library, NGD Report No. 1616. Bolton, C. M. G. (1954a). Geological Map, Kurdistan Series, Scale 1:100 000, Sheet K4 Ranya. Iraq Geological Survey Library Report No. 276. Bolton, C. M. G. (1954b). Geological Map, Kurdistan Series, Scale 1:100 000, Sheet K5 Chwarta. Iraq Geological Survey Library Report No. 277. Bolton, C. M. G. (1954c). Geological Map of Kurdistan Series, Scale 1:100000, Sheet K6, Halabcha. Iraq Geological Survey Library Report No. 278. Bolton, C. M. G. (1956). The Geology and Economic Prospects of the Rania Area. Iraq Geological Survey Library Report No. 279. Buday T. & Jassim, S. Z. (1984). Tectonic Map of Iraq (Scale 1: 1000000). GEOSURV-Iraq. Buday, T. & Suk, M. (1978). Report on the Geological Survey in NE Iraq, Between Halabja and Qala Dizeh. Iraq Geological Survey Library Report No. 950. Buday, T. & Vanecek, M. (1971). Outlines of Mineral Occurrences of Iraq and General Mineral Investigation Program for 1971-1990. Iraq Geological Survey Library Report No. 509. CGG (Compagnie General De Geophysique). (1974). Aeromagnetic and Aerospectrometric Survey of Iraq. Iraq Geological Survey Library Report No. 2642. Chaikin, S. I. (1970). Report on the Iron ore Potentialities in Iraq and Recommendation on the Trend of Further Geological Iron ore Exploration. Iraq Geological Survey Library Report No. 548. Etabi, W. (1982). Iron Ore Deposits and Occurrences of Iraq. Iraq Geological Survey Library Report No. 1324. Fouad, S. F. (2012). Tectonic Map of Iraq, scale 1:1000000, 3rd edition. Baghdad, Iraq: Iraq Geological Survey Publications. Geozavod (Yugoslavia). (1981). Geological Investigation in DuriSerguza Lead-Zinc Deposit, North Iraq. Iraq Geological Survey Library Report No. 1145. Hak, J., Watkinson, D., & Al-Bassam, K. (1983). The origin of the Marapasta base metal deposit, NE Iraq. Vestnik Ustredniho Ustavu Geologickeho, 58, 141-150. Hall, P. K. (1954). Geological Map, Kurdistan Reconnaissance Series, Scale 1: 100000, Sheet K2: Amadia. Iraq Geological Survey Library Report No. 274. Jassim, S. Z. (1973). Geology of the central sector of Mawat complex. Journal of Geological Society of Iraq, Special Issue, 169-210. Jassim, H. M., Toma, H. Z. A., & Oudah, L. S. (2017). Solvent extraction and electrowinning from copper leaching product of mawat sulfide using Taguchi method. 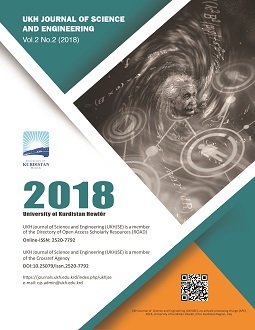 UKH Journal of Science and Engineering, 1(1), 53-59. Johnson, P. R. (1998). Tectonic Map of Saudi Arabia. Saudi Arabia: Ministry of Petroleum and Mineral Resources. Kafoor, S. (2018). Asnawa. The forgotten mountain. UKH Journal of Science and Engineering, 2(1), 1-2. Masin, J., Abbas, M., Fattah, A., & Ahmed, J. (1971). Report on Geological Survey in Marpasta Area. Iraq Geological Survey Library Report No. 534. McCarthy, M. J. & Hall, P. K. (1954). Geological Map of Kurdistan Series, Scale 1:100000, K1, Zakho. Iraq Geological Survey Library Report No. 273. McCarthy, M. J. & Smit, J. S. (1954). Report on Geological Investigation of the Area NE of Zakho. Geosurv, International. Report. No. 264. Mironov, G. A. & Sitchenkov, N. M. (1962). Prospecting Exploration of the Duri-Surguza Lead-Zinc Deposit and Berzanik Occurrences. Iraq Geological Survey Library Report No. 279. Mirza, T. A. (2008). Petrogenesis of the Mawat Ophiolite Complex and Associated Chromite, Kurdistan Region, NE Iraq. Unpub. Ph.D. Thesis, University of Sulaimaniyah. Nahab, M. & Rahman, Y. (1974). Magnetic and Electromagnetic Measurements in Marapasta. Iraq Geological Survey Library Report No. 614. Pavel, G. L. (1955). Mineral Survey of Iraq, Vol. 4. Iraq Geological Survey Library Report No. 265. Polnikov, G. A. & Nikolayev, V. F. (1962). 1: 20000 Prospecting Correlation of the Rania-Qala Dizeh Area. Iraq Geological Survey Library Report No. 292. Sissakian, V. K. & Fouad, S. F. (2012). Geological Map of Iraq, Scale 1:1000000, 4th edition. Baghdad, Iraq: Iraq Geological Survey Publications. Sissakian, V. K. & Fouad, S. F. (2014). Geological Map of SULAIMANIYAH Quadrangle, Scale1: 250000, 2nd. Baghdad, Iraq: Iraq Geological Survey Publications. Sissakian, V. K. (2014). Minerals Wealth in the Kurdistan Region. Special Workshop, Koya University. Smirov, V. A. & Nelidov, V. (1962). Report on 1: 200000 Prospecting Correlation of Sulaimaniya, Chwarta, Penjwin Area, Carried out in 1962. Iraq Geological Survey Library Report No. 290. Stevenson, P. C. & Cobbett, G. P. R. (1954). Geological Map of Kurdistan Series, Sheet K3, Merga Sur. Iraq Geological Survey Library Report No. 275. Teretenko, N. A. & Khadikov, B. B. (1961). Report on Prospecting Exploration of the Asnawa Iron ore Deposit and Mishau Iron ore Occurrence. Iraq Geological Survey Library Report No. 302. Toma, H. Z. A., Jassim, H. M., & Oudah, L. S. (2017). Sulfuric acid leaching of copper from mawat complex sulfide ore in Sulaimaniyah, NE Iraq in the presence of hydrogen peroxide using Taguchi method. International Journal of R and D in Engineering, Science and Management, 5(6), 6-13. Webber, B. N. (1952). Geological Reconnaissance of the Metallic Minerals and Sulphur Deposits of Iraq. Iraq Geological Survey Library Report No. 288. Williams, W. R. (1948). Mineral Survey of Mountains of North Iraq. Iraq Geological Survey Library Report No. 133. 1. Authors retain copyright and grant the journal right of first publication with the work simultaneously licensed under a Creative Commons Attribution License [CC BY-NC-ND 4.0] that allows others to share the work with an acknowledgment of the work's authorship and initial publication in this journal. 2. Authors are able to enter into separate, additional contractual arrangements for the non-exclusive distribution of the journal's published version of the work (e.g., post it to an institutional repository or publish it in a book), with an acknowledgment of its initial publication in this journal.